The Tata H5X SUV is based on the Land Rover Discovery Sport's OMEGA platform, and is expected to be a premium SUV with all the frills you would expect from an upmarket SUV. 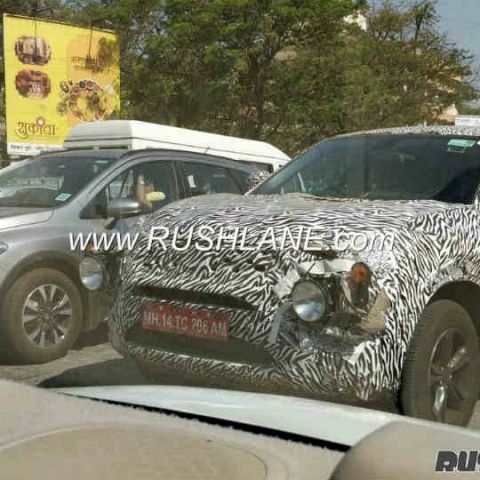 The Tata H5X SUV, which was shown off in concept form at the 2018 Auto Expo by Tata Motors, has been spotted testing on Indian roads for the first time. The Tata H5X SUV is a pivotal point of focus for Tata Motors, as it is the first car to feature the company's Impact 2.0 design language, and is also the first premium SUV from the company's stable to be built on the OMEGA (Optimal Modular Efficient Global Advanced) platform that also underpins the Land Rover Discovery Sport. 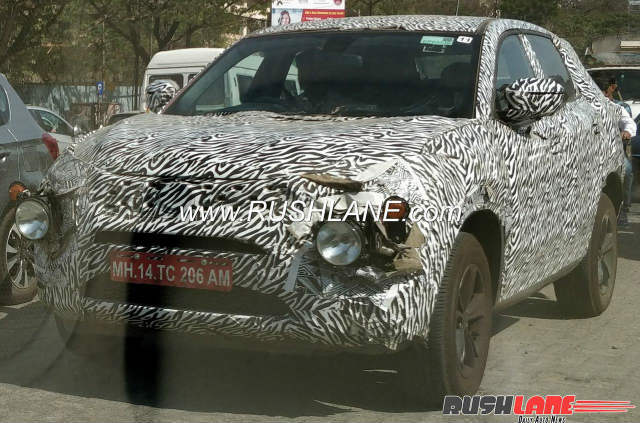 The photos, obtained by the good folks over at RushLane, show the Tata H5X premium SUV in heavily camouflaged form. The vehicle sports temporary headlamps and turn indicators in the photos, which state that the eventual design of the headlamp cluster in the production variant is likely to be different from the narrow LED slits that featured in the concept seen at the 2018 Auto Expo. 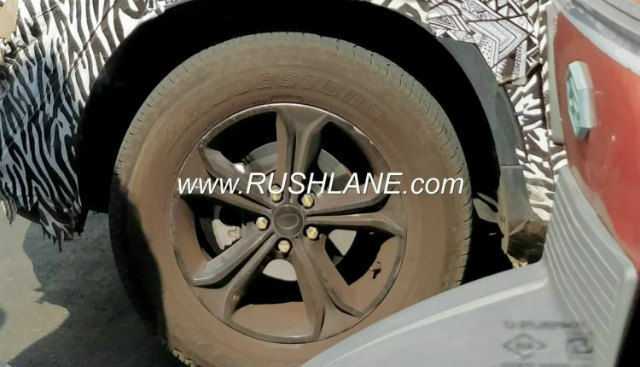 However, the H5X's production variant appears to be running on impressive, fat-section 19-inch alloy wheels, which seems to be in line with the flared wheel arches that we saw at its unveiling. The Tata H5X is slated to be the company's most premium SUV to be unveiled under its brand ever, focusing on technology, luxury and comfort. That is unsurprising, since we expect it to borrow a few elements from its Land Rover stable. The Tata H5X SUV is slated to be powered by a Fiat-sourced MultiJet II diesel engine, replacing the now-aging Varicor 400 engine that has been around for a while. This engine is slated to be paired with a ZF-sourced 9-speed automatic gearbox, in similar configuration to what you get in the Land Rover lineup. The technology package inside is also slated to be focused on, with Tata expected to present a digital instrument cluster alongside its ConnectNext infotainment system. It may also get more sophisticated equipment list including dynamic rear-facing camera, multi-colour ambient lighting, collision alert and other units. The overall design, however, seems a bit different from what we saw upon its unveiling. 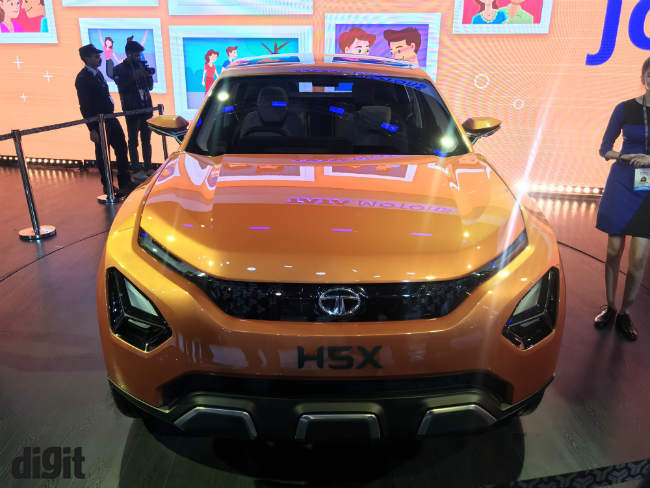 The Tata H5X is expected to launch this year itself under a production name, and will rival the likes of the Jeep Compass and the Hyundai Tucson. The SUV is expected in both 5-seater and 7-seater options, and pricing is expected to be onward of Rs. 16 lac, which would make an already contested segment of cars even more competitive. How can I Test my Website? how to test ASP.NET application?